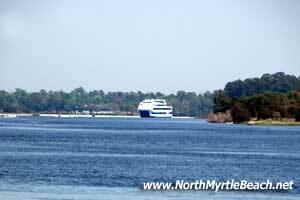 North Myrtle Beach and Myrtle Beach are top coastal vacation spots along the eastern seaboard of the United States. Every year millions are drawn to our seashores and wide, white, sandy beaches. The City of North Myrtle Beach, incorporated in 1968 by the four beach towns of Cherry Grove, Ocean Drive, Crescent Beach and Windy Hill, is a northern section of the Grand Strand, and considered a bit more family oriented and quieter than its more famous sister city to the south. The two cities touch boundaries near Restaurant Row and Barefoot Landing. North Myrtle Beach and Little River are known for fishing charters and pier fishing in the warmer months and commercial fishing in the off-season. 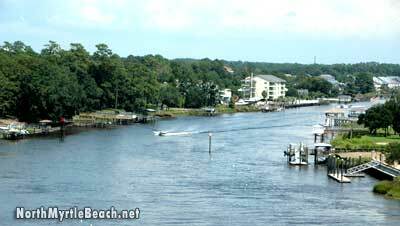 Charter fishing is very popular in the Little River and Calabash area with life-long, experienced Captains. 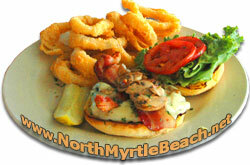 There are many choices for accommodations here on the Grand Strand, and for all tastes and budgets. Rest assured, whether you're interested in a stylish hotel on the beach, a luxury condo overlooking the greens, or a vacation rental along the waterway, you'll find it here, usually with deep discounts! Restaurants for everyone are everywhere! A pleasant surprise for first-time visitors is how many, and what a variety, of great restaurants serve the residents and visitors of the grand strand. There are over 1000 restaurants, and not even locals can find time to eat at all of them! Here on the Grand Strand you can find restaurants specializing in Italian dishes, Oriental cuisine, Japanese steak houses with entertaining chefs, southern-style BBQ ribs, classic American dining, and, of course, all-you-can-eat seafood buffets. Some of our restaurants are downright entertaining, too. Be sure to check out the theme restaurants like NASCAR Cafe for race fans, Hard Rock Cafe for music lovers, Cheeseburger in Paradise and Margaritaville for Jimmy Buffet fans, and many others. Contributing to the Grand Strand's allure is the origination and continued offers of discount golf packages (the term golf packages also originated here, meaning a combination of lodging and rounds of golf for one price, usually reduced). With over 100 golf courses (as many as all of Europe), the Grand Strand is now considered one of the top places to golf in the United States. And due to the great supply of courses, rounds are competitively priced and considered extremely reasonable by other area's standards. Although one of the biggest draws for families is our beautiful sandy eaches, we're also known for lots of other family-friendly entertainment, amusements and activities. The choices for your family activities while on vacation may include unique attractions, theme parks, and a variety of original and engaging amusements that impress visitors of all ages and from all walks of life. Day after day of wholesome fun can be had at places like Ripley's Aquarium or Alligator Adventure, an alligator park and reptile research facility at Barefoot Landing. Along with alligators and crocodiles, frogs, snakes, birds, tortoises, and lizards are also on display. And don't overlook the beauty of our many city and state parks and our tranquil marinas with breath-taking views of the Atlantic Intracoastal Waterway. For those who enjoy live entertainment and shows, there are a number of entertainment venues with live shows and concerts, two of the most well-known being the Alabama Theater and the House of Blues. There's also Dixie Stampede, the Carolina Opry, the Palace Theater, Medieval Times Dinner & Tournament, Calvin Gilmore's Tribute Theater, Legends in Concert, and Comedy Cabana. Little River recently saw the return of a second gambling boat to its docks and both boat are now operational. This type of entertainment has replaced the outlawed the lucractive video poker industry that many businesses had a hand in before gambling was banned. Conversely, since video gaming was declared illegal, South Carolina has allowed a state lottery and casino gambling boats in Little River. And if shopping is one of your favorite things to do on vacation, there are quite a few visit-worthy shopping malls, as well as factory outlets and specialty shops, sprinkled throughout the entire Grand Strand. From feeding the alligators at Barefoot Landing to dining at one of the hundreds of restaurants, we're confident you'll find plenty of reasons to vacation on the north end of the Grand Strand year after year after year. As evidenced by explosive growth in the local real estate market, this area is a prime choice for relocation, second homes, or retirement living. The swelling population filling the strand is varied, hailing from all over the world. So if you're considering relocating, this is the place, and now is the time! Every year, for decades, explosive growth was the norm for the Grand Strand, until the economy tanked and new construction slowed or halted. The Grand Strand was left with an abundance of new hotels, condos, resorts, unique attractions, entertainment theaters, golf courses, shopping centers, outlet malls, theme parks, water parks, live music venues, and a multitude of outstanding restaurants.